Now you can save money by making your own jerky, dried fruits, vegetable, trail mix and more. It means that you are not buying those foods in-store, with packages that end up in the landfills. That is sustainability and no wonder the powerful Nesco/American Harvest dehydrators are called the "Green" machines. Nesco builds the World's Fastest, Most Even Drying Dehydrators. 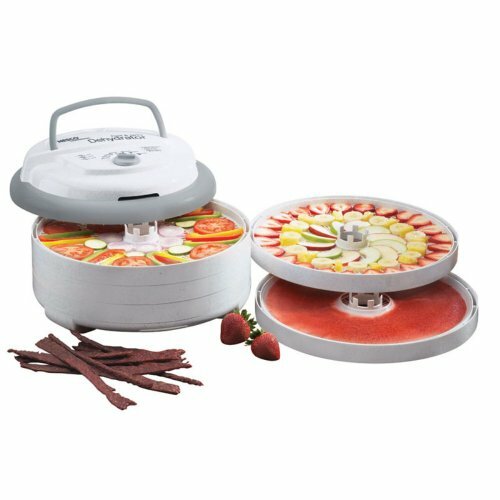 The NESCO FD-75PRP Professional 5-tray Food Dehydrator is 700 Watts of drying power dries foods quickly and evenly for quality in dehydrating. Ideal for dried fruits, vegetables, herbs, gourmet seasonings, granola and jerky. The FD-75PRP can be expanded to 12 trays with the purchase of additional trays. 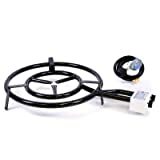 Featuring adjustable thermostat ranging from 95-160 degrees provides greater flexibility and better results. The patented Converga-Flow drying system ensures even drying and it dries in hours, not days with no flavor mixing and no need to rotate trays. The FD-75PRP is packed with 5 trays, base, 2 fruit roll sheets, 2 Clean-a-Screen Drying Screens and 2 original flavor jerky spice and cure packets; all components are dishwasher safe except the powerhead. Expandable to 12 trays by purchasing trays LT-2SG.